The Titanic was a British registered four funnelled ocean liner built for the transatlantic passenger and mail service between Southampton and New York. 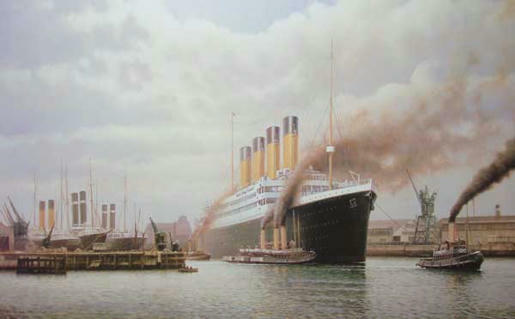 Constructed at the Harland and Wolff shipyard in Belfast, Northern Ireland she was, at the time of her maiden voyage, the largest vessel afloat. On April 10th 1912 the Titanic set sail from Southampton with 2,200 passengers and crew, four days later the Titanic collided with an iceberg and sank. 1500 people died and 700 survived. This website attempts to tell their story and that of the great ship with which their fate would be inextricably linked.